Have you ever been in the awe-inspiring presence of a living legend? 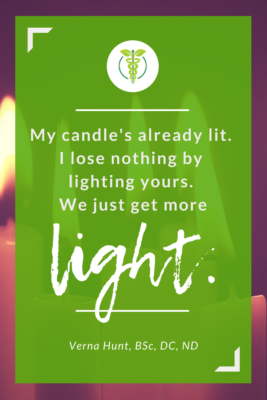 Dr. Verna Hunt, a chiropractor and naturopathic doctor in Ontario and graduate of what is now known as the Canadian College of Naturopathic Medicine, carries with her the flame of wisdom — and she is more than happy to share the light. As a graduate of National University of Health Sciences in Lombard, IL, and one of only seven naturopathic doctors among nearly one hundred chiropractors in my cohort, I have a special love for physical medicine and the value of touch. Part of me has suspected that this is in large part because of the heavy chiropractic influence of my alma mater. Now I’m learning that this isn’t necessarily true; according to Dr. Verna Hunt, physical medicine is actually a huge part of our tradition as naturopaths. The trouble with hands-on modalities is that unless you’ve got a skilled mentor to apprentice with, they’re difficult to execute properly, and can be daunting to even attempt. But Dr. Hunt and other light bearers in our community are trying to change all that with the Naturopathic Legacy Project, a continuing education series of how-to videos, archived class notes, and out-of-print books, which preserve this all-too-important medicine for future generations. Have some time to sip on tea and bathe in Dr. Hunt’s font of wisdom? Check out the full interview and feast on some clinical pearls she’s collected over decades of chiropractic and naturopathic clinical care. 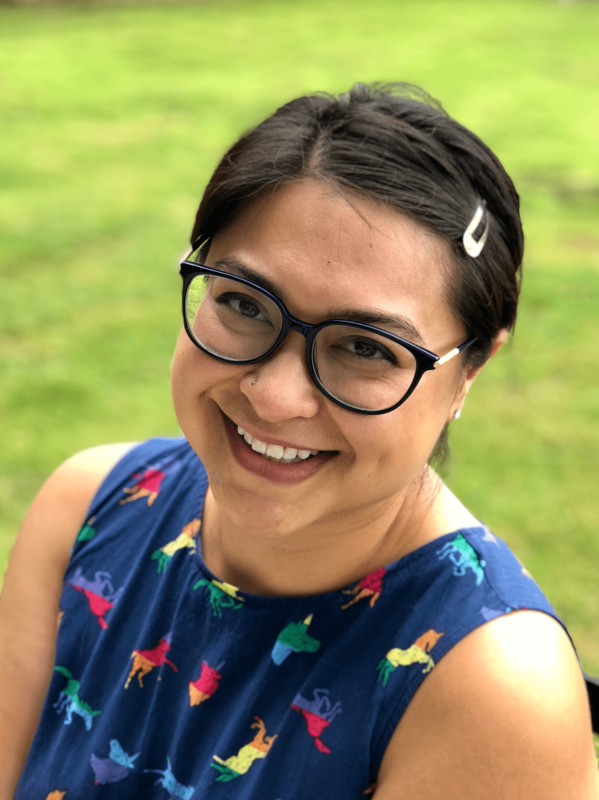 Learn why she lives by the rule of “When in Doubt, Have a Bath,” why she feels that naturopathic medicine is truly holographic, and why she’ll never call herself a healer. Many thanks to Dr. Verna Hunt for sitting down with us to talk naturopathic shop, and for her many years of devotion to the medicine. We are truly honored to light our candles with you today. Visit the Naturopathic Legacy Project (hosted by the Ontario Association of Naturopathic Doctors)!